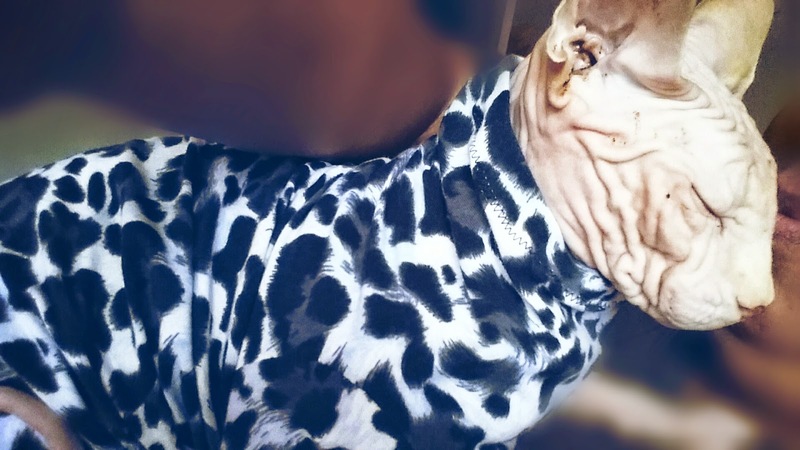 Contrary to some people's opinions about pets in clothing, Moshe Moshi likes his attire. I'm sure it's because he associates the wearing of garments to affection from me, warmth and sometimes, camouflage to stalk his brother (maybe I'd just like to think so). Whereas we do a costume for special occasions, most of his wardrobe is simply harnessing to keep him in compliance with leash laws in the State and skin protection from the elements. We just think one can combine function and practicality with a keen fashion sense. 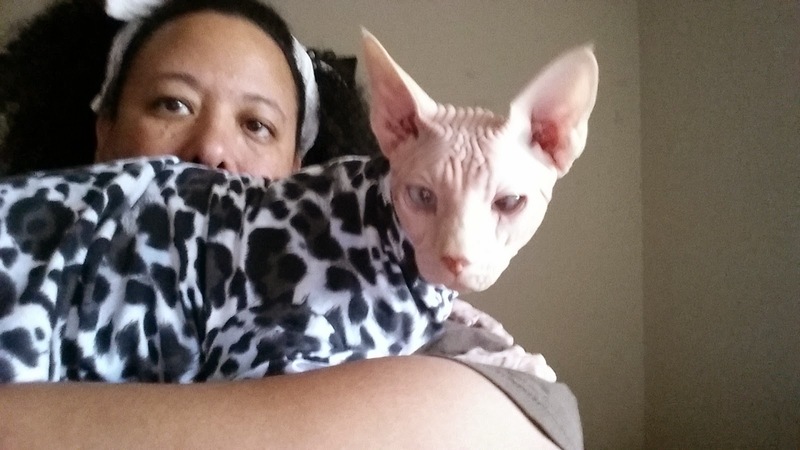 I've been updating Moshe Moshi's closet when I came across Airie McCready of Simply Sphynx on Etsy. She's been making Sphynx clothing for her naked kidz for a while and decided to make this available to other nudists our there. Our first foray into her fashion was to do Snow Leopard. 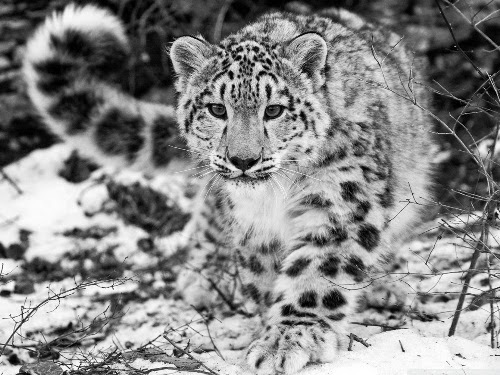 As you may know, the Snow Leopard is an endangered species; only about 6,000 remain in the wild. Though we appreciate the warmth of fur, we would never wear any animal that was killed just for its fur or ANY endangered animal for any reason. Indigenous peoples who use nature for substances notwithstanding, fur for fashion's sake is wrong for us. We will just stick with pretending we are snow leopards. The shirts are of quality material; patterns are fun and hip. 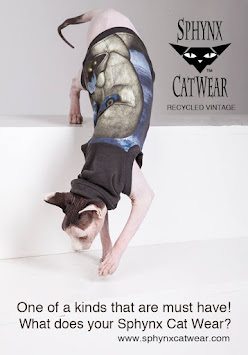 You will see Moshe Moshi wearing more Simply Sphynx fashion for sure. If you want to help the snow leopard population and other endangered species, please consider making a donation to the World Wildlife Fund.